Birka, Sweden’s oldest town, has long been a major source of our knowledge about the Viking Age. New geophysical research has now uncovered the ninth-century manor of a royal bailiff at this site. During spring of 2016 a number of large presumed house terraces were identified by the researchers at Korshamn, which lies outside the town rampart of Birka, which itself is situated on an island in Lake Mälaren, near Stockholm. As a consequence high resolution geophysical surveys using ground-penetrating radar were carried out in September 2016, which revealed a major Viking period hall on the site, with a length of around 40 meters. 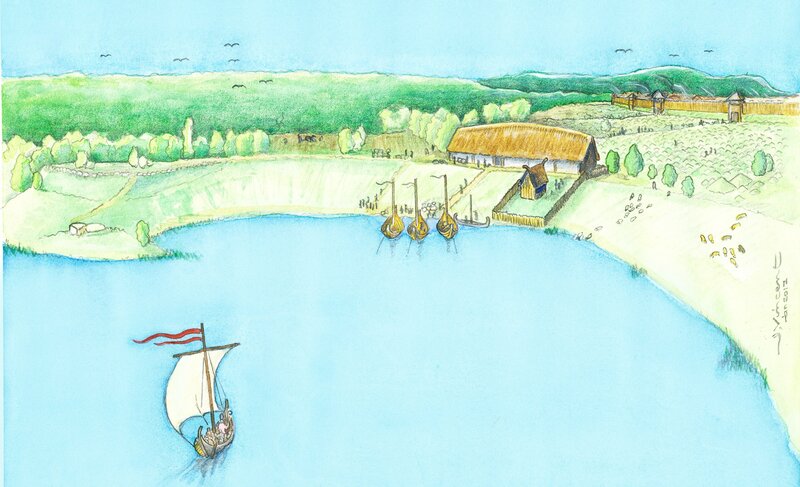 Based on the land upheaval the area of the Viking hall can be dated to sometime after 810 AD. The hall is connected to a large fenced area that stretches towards the harbour basin.